Many individuals believe that doctor-prescribed suicide (referred to by proponents as “death with dignity” or “aid-in-dying”) occurs after a person takes “a pill.” Nothing could be farther from the truth. In reality, the dosage of drugs for doctor-prescribed suicide is a huge quantity of barbiturates (sedatives). A pill bottle filled with drugs is the reality. Lethal medication provisions are in a precarious state. Over the past decade, pharmaceutical companies have attempted to stamp out the use of their drugs in executions, creating several economic and regulatory hurdles for access to these medications. As a result, patients seeking physician-assisted suicide (PAS) as well as death penalty states aiming to execute their capital offenders have been forced to turn to unregulated and dangerous alternatives for these drugs. 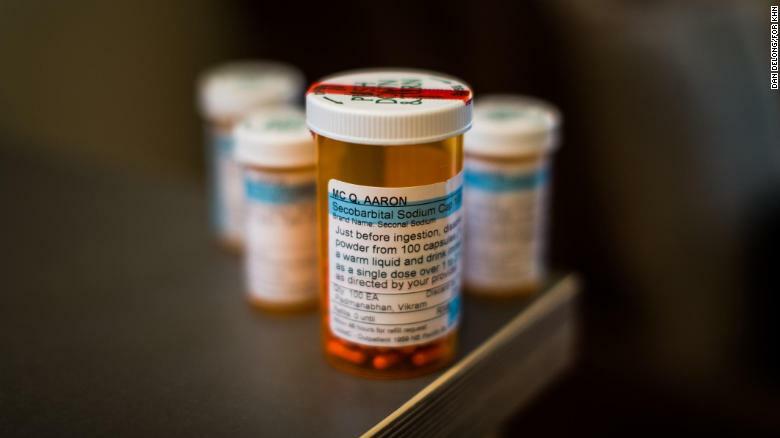 Last year, physicians in Washington suggested a slow-acting combination of drugs but at least two people died more than a day after taking the lethal dose. Kelly Renee Gissendaner was pronounced dead by lethal injection of pentobarbital Wednesday, September 30, 2015 at 12:21 a.m. at the state prison in Jackson, Georgia. The full “cocktail” included two anti-nausea pills, an anti-seizure pill and 100 capsules of Secobarbital….We had been forced to assist in the most bizarre fashion….finally emptying capsules, making an elixir so vile I cried when I knew she had to drink it. This was death with dignity? Note: Canada permits both doctor-prescribed suicide and doctor-administered lethal injection. They’ve come up with a new mix of medications that induces death….They’ve opted for it even though the new medication tastes worse, burns the mouth and may take longer to work than Seconal. Just before he died, Michael Lee Wilson said he could feel his whole body burning as the drug meant to kill him coursed through his veins….But a conflicting little known reality is that the same drug they often criticize — pentobarbital — is the same one the so-called Death with Dignity movement is trying desperately to access so terminally ill patients can hasten their deaths in what they have characterized as a peaceful and dignified experience. If assisted suicide becomes legal in more states and Death with Dignity becomes the norm, will the FDA step in to regulate lethal drugs?…[H]ow would the FDA be furthering its mission of protecting the public health by regulating drugs clearly intended to kill people?